Previous PostIn the Woods (Dublin Murder Squad Book 1) by Tana French.Next PostHunting Ground (Alpha and Omega book 2) by Patricia Briggs. Thank you! 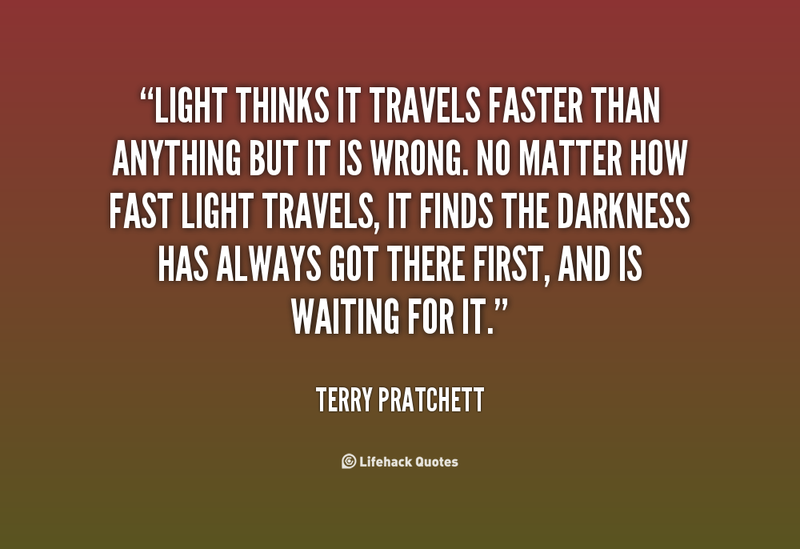 I’m glad to find another Pratchett fan! You are right, there aren’t that many of us, which is rather surprising. PS: I actually cried when I learned he had died. I’d just finished reading a kindle book of his lectures that he had published about his long journey with early onset Alzheimer’s… and I’d mentioned him to a group of friends, one of whom has a wife suffering with the disease. 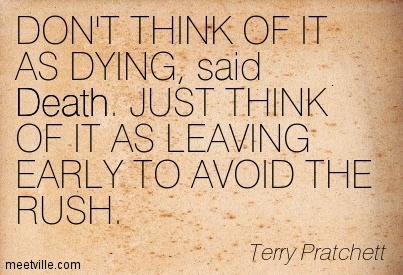 As with everything Terry wrote, his personal sharing was laced with humble wit while telling the tragic human tale. I am so grateful to have “known” him through his writing. I know 🙁 We have lost so many great authors in the past few years. First Iain M Banks left us, now Death came for Sir Terry Pratchett… it’s sad to think that we will never get to read their new books. That there won’t be any more new books… ever. 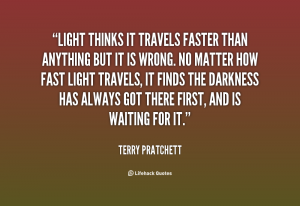 He was a fantastic author – a great wit, humourist, and an all-round nice guy, hugely talented but deeply humble with it. A few years ago I almost had the chance to have a few glasses of beer with him, when he was due to join a group of writers I was with for a few glasses of beer. But he had to decline – too exhausted after a promotional round. And fair enough too. Another time I went into a bookstore in central Wellington, with several friends, to find him at a table near the door autographing his titles. 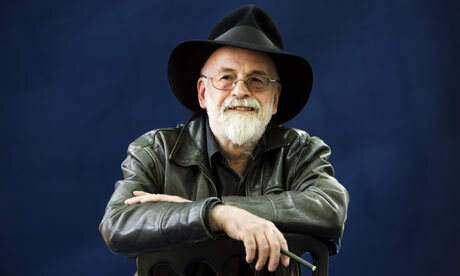 It happened that I had a title of my own that was on the NZ best-selling list at the time, and a huge pile of my book was sitting right next to Pratchett’s table. This caused me and my friends to snub him totally, veering off to look at my own book. He took it all in very good humour – as I say, a hell of a decent guy. We’ll all miss his talent, his humour, and his wonderful, wonderful stories.